September | 2018 | COMMUNITY ACTION ALLIANCE FOR NSW (CAAN): HOUSING INEQUALITY WITH AUSSIES LOCKED OUT! We are told Sydney Metro will overcome capacity constraints on Sydney’s rail network. Only a public inquiry can reveal the truth and advise on what to do. 66km length, long distance between stations etc. – are not rapid transit. The reasons given to the public for Metro boil down to a claim it can carry more people per line – sitting and standing – than Sydney trains. It supposedly can run 30 trains per hour conveying 40,000 people compared with 20 Sydney Trains carrying 24,000 people. This is said to reflect it’s 3 door single-deck carriages not needing as much station stopping time – dwell-time – as double-deck trains. The North West route requires ‘conversion’ of a vital Sydney Trains line – Epping-Chatswood. This substantially reduces existing network capacity and hamstrings new services to Western Sydney, including to Badgerys Creek airport. 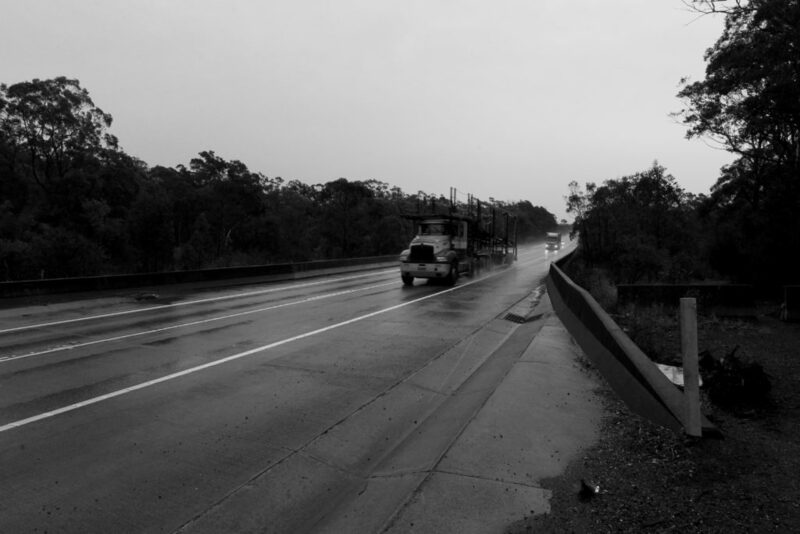 Advice to NSW was scathing about the idea of a North-West Metro. NSW parliament’s longest serving MP and leading morals campaigner, the Christian Democrat elder Reverend Fred Nile, has failed to properly declare his business interests and positions in associations for at least 10 years, a Herald analysis reveals. The pecuniary interest disclosures of Mr Nile, which are required by law to be updated each year, are inaccurate and inconsistent, the analysis shows. Mr Nile, the leader of the Christian Democratic Party (CDP), is the sole shareholder, director and secretary of Family World News, which was created in 1994 and produces a monthly publication by the same name, according to ASIC documents. But he did not declare he held an interest and positions in the Family World News company until 2014-15 and 2016-17, under “part five: interests and positions in corporations”. In the year between, he omitted any reference to it. “There are no director fees, I have not received payment from Family World News,” Mr Nile told The Sun-Herald. As a 37-year veteran member of parliament and a member of the Privileges Committee – Mr Nile scrutinised the interest disclosure regime several years ago following the corruption watchdog’s investigation into corrupt former MPs Ian Macdonald and Eddie Obeid. The CDP’s balance sheet for 2016-17 also shows it handed $28,320 to its leader’s Family World News. Asked whether this transaction was ethical and appropriate, Mr Nile said the amount was “for the printing and mailing of Family World News to CDP members each month. I do not receive any funds personally from Family World News or from the CDP”. A short newsletter called Focus on Parliament is inserted into each issue of Family World News. While Mr Nile uses his parliamentary staff to produce Focus on Parliament, concerns have been raised that his staff, on taxpayer-funded wages, are also working on Family World News, which he said in his disclosures cover “political moral issues” and “Christian news”. “Parliamentary staff have assisted me with the Family World News in their lunch hour and after work,” he said. Asked how he enforced this, he did not respond. In 2014-15 and 2016-17, Mr Nile also failed to disclose he held shares in Telstra. He mentioned them the year in between. Prior to 2014-15, he reported he held shares in Telstra and IAG. “I told my financial adviser to sell my Telstra and IAG Shares in 2015, which I did not purchase but were given to me by these companies due to a registration of the companies,” he said. Mr Nile also neglected to report he held positions at Family World News, Australian Christian Nation Association and CDP between 2014-15 and 2016-17. He did so in the years prior, but from 2014-15 onwards he either left section six “positions in trade unions and professional or business bodies” blank or wrote “nil”. “The positions I do hold … are all honorary positions with no payment from any of these organisations,” he said. He did not answer whether he recognised there were inaccuracies in his disclosures or whether he would correct any previous disclosures. “I have made many donations to the CDP, which are all reported. When Family World News is short of funds I have paid some of their outstanding invoices,” he said. Esther Han is a health reporter at The Sydney Morning Herald. She has previously been consumer affairs editor and also covered food and wine. WITH Sydney having been SHANGHAI’D some of Sydney’s leading urban designers have called for a rethink on high-rise residential developments … they are damaging people’s health and wellbeing. Benjamin Driver, Hill Thalis Architecture + Urban Projects has called for our public support of “gentle urbanism”, a planning strategy that rejects the bulky footprint of 10- to 30-storey-plus towers for slim footprint buildings with generous setbacks, landscaping with deep soils and mature trees and scope for three- to four-bedroom apartments. Ah! Sydney could become elegant again! The NSW LNP has razed the Darling Harbour precinct to the ground having lasted no more than 30 years. How likely such demolition will be repeated at Barangaroo, Green Square, Mascot, Wolli Creek, Wentworth Point and Rhodes? With Macquarie Park and North Ryde to follow? Some of Sydney’s leading urban designers have called for a rethink on high-rise residential developments with warnings that long, dark corridors, balconies too windy to sit on and apartments with no cross-ventilation are damaging people’s health and wellbeing. The national festival aims to applaud the best projects, admit the worst excesses, promise better and educate the public on best practice. Mr Driver has called for public support of “gentle urbanism”, a planning strategy that rejects the bulky footprint of 10- to 30-storey-plus towers for slim footprint buildings with generous setbacks, landscaping with deep soils and mature trees and scope for three- to four-bedroom apartments. A survey of 2000 NSW residents by NSW Architects Registration Board found that the most important factor in people’s home life was the availability of natural light. “Long corridors, deep corridors, closed-off corridors where many apartments might share the one lift – this is not considered best practice any more,” Timothy Horton, registrar of the NSW Architects Registration Board, said. Where towers rise too far above the street, apartment owners may gain views but can no longer step out and talk to friends on the street below, Mr Driver said. “In fact, many balconies are too windy to sit on at all. We are well above the tree line and so are exposed to the elements, particularly the heat. Andrew Nimmo, president of the NSW Chapter of the Australian Institute of Architects, said far too many apartment developments were not delivering on the basic needs of good natural light, natural ventilation and creating a place you would want to call home. He nominated The Rochford in Erskineville by Fox Johnston as a development that gets the basics right, a winner of the NSW Architecture Awards. The 19th century, he said, had left the city a legacy of industrial and warehouse buildings “screaming to be adapted and reused”. Another winner, The Griffiths Teas building in Surry Hills had languished for 30 years and fell into disrepair until Popov Bass architects adapted it into 38 new apartments, retaining the best qualities and romance of the old warehouse. International House Sydney at Barangaroo by Tzannes, Australia’s first fully engineered timber building, had been built from sustainably managed plantation forests. It locked in 2700 tonnes of carbon sequestered in the floors, beams and columns, had 350 photovoltaic roof panels and achieved a six-star Greenstar rating. “It also happens to be a calming place to work where the gentle scent of timber pervades”, Mr Nimmo said. Urban designer Laura Harding, who appears on a panel Sunday that looks at ethics in an age of excess at Sydney Opera House, believes the city had allowed private interests to have the first option on key sites. “Once they’ve claimed their spoils – we squeeze an apologetic and compromised public realm into the remnants. The city cannot endure, or renew itself if it is conceived in this limited way. Ms Harding, also with Hill Thalis Architecture + Urban Projects, pointed to the mistakes made at Darling Harbour 30 years ago. “We made a disconnected and dysfunctional place apart – albeit with a few worthy individual buildings and spaces, but with many more poor ones. Those mistakes had been repeated at Barangaroo, at Green Square Town Centre, Mascot, Wolli Creek, Wentworth Point and Rhodes, she said. Linda Morris is an arts and books writer for The Sydney Morning Herald. Australia’s Marise Payne: a China dove, hawk or parrot? Australia’s 5G ban on Huawei: will others make same call? China-Australia relations are at their lowest point in years. And judging by recent events, such as Canberra banning Huawei and ZTE from taking part in the country’s 5G network, and preventing the former from building an undersea internet cable connecting the Solomon Islands, Beijing censoring the Australian Broadcasting Corporation’s website, and the growing strategic competition between the two sides in the Pacific, the relationship seems unlikely to improve any time soon. As key stakeholders from both sides continue to engage in megaphone diplomacy and public rhetoric on geostrategic and geopolitical matters, Chinese-Australians have been caught in the crossfire and, as I have long feared, become collateral damage in an environment of poor relations. I have witnessed and experienced first-hand over the past few years how the public debate on foreign influence, investment and interference in Australia has unintentionally and inadvertently created a new form of distrust, anxiety and suspicion towards China and all things ‘Chinese’, including Chinese-Australians. In recent times, Australian academics, journalists and politicians have made allegations that immigrants of Chinese descent and Australians of Chinese heritage are working against the nation’s interests by holding direct secret allegiances to China. Even former Prime Minister John Howard joined the fray by warning that migrants from China, and to an extent Chinese-Australians, potentially pose a risk to Australia as they are susceptible to Chinese influence. To claim that people have allegiance to China on the basis of their race and cultural heritage without an evidentiary base is deeply damaging to our reputation and leaves us open to further discrimination, vilification and the breaking down of trust. Being an Australian of Chinese heritage, I’ve added my voice to the debate and urged Australian policymakers and commentators to use greater nuance in their engagements with China, and ensure Chinese-Australians are appropriately and accurately represented. In response, critics have challenged my loyalty to Australia and questioned my “Australianness”. Unfortunately we have reached a point in the public debate where any logical and rational approach to China is deemed “soft” and the only way to prove your “Australianness” is to publicly condemn it. The polarisation of the issues, the public debate itself and the fear of being labelled “pro-China” or “Chinese sympathiser” has discouraged many Chinese-Australians from speaking out. What I have gathered from speaking to Chinese-Australian community leaders and representatives is that a new form of Sinophobia or anti-Chinese sentiment is emerging. This is unlike the racism and xenophobia experienced by Chinese-Australians and migrants before and during the days of the White Australia Policy. It is more subtle as it goes beyond just hate speech and racism and seeks to undermine confidence and trust. Like all minority groups living in Australia, Chinese-Australians are severely under-represented in senior positions of Australian institutions such as parliament and corporate boardrooms. Despite numbering about 1.2 million and being one of Australia’s oldest, largest, most successful and best educated communities, Chinese-Australians, like all Asian-Australians, continue to fight bias and racial stereotyping in the workplace. With this added layer of mistrust and suspicion, it is going to be even more difficult for them to break through and be given opportunities to serve in positions that wield greater authority, influence and power in Australia. A Twitter user I came across summed up my fears regarding the new Sinophobia by saying: “it’s hard to trust Chinese people in Australian politics due to the CPC [Communist Party of China] interference”. The increased questioning of Chinese-Australians’ sense of belonging and commitment to Australia, and distrust of anything and anyone who looks Chinese or associates themselves with its culture has resulted in us being seen and treated as second-class citizens. At a recent public forum hosted by ABC Radio National, a prominent Chinese-Australian leader said he had been made aware that senior bureaucrats within Australia’s public service had highlighted the risks of involving employees of Chinese heritage in certain internal conversations and even expressed thoughts of thinking twice about hiring such people. Other than an actual war between China and Australia, one of my biggest fears is seeing the Australian public lose its trust in and turn against Chinese-Australians. To prevent this new form of Sinophobia from expanding, political leaders need to provide Chinese-Australians with an assurance that we are indeed part of Australia. First and foremost, they need to condemn racism and discrimination when it occurs in the public sphere. Second, they must adopt new attitudes and approaches, and discourage the use of racial politics. Third, they must acknowledge the contribution made by Chinese-Australians to the country and recognise that their skills, experience and leadership could help Australia to build a greater understanding and closer relations with China. Fourth, they should welcome and encourage more Chinese-Australians to serve as leaders in government, business, the media and the academic sector. And fifth, they must commit to resetting the bilateral relationship. As Australia’s relationship with China becomes increasingly complicated, Canberra should realise that Chinese-Australians are the biggest asset it has in trying to understand Beijing. And for us to make a difference, we need to be in the room, not kept out. ONE of the country’s biggest property developers has been fined $200,000 by the NSW Land and Environment Court for unlawfully clearing 23 hectares of native vegetation. 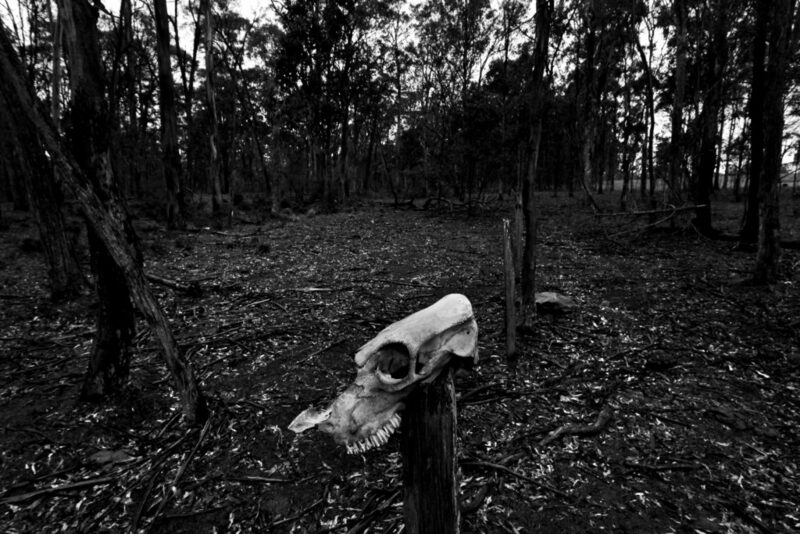 Walker Corporation, which has more than $4 billion of developments under way across Australia, was given a record fine for a company under the Native Vegetation Act for clearing the land at a property near Wilton, south-west of Sydney, in 2006 and 2007. 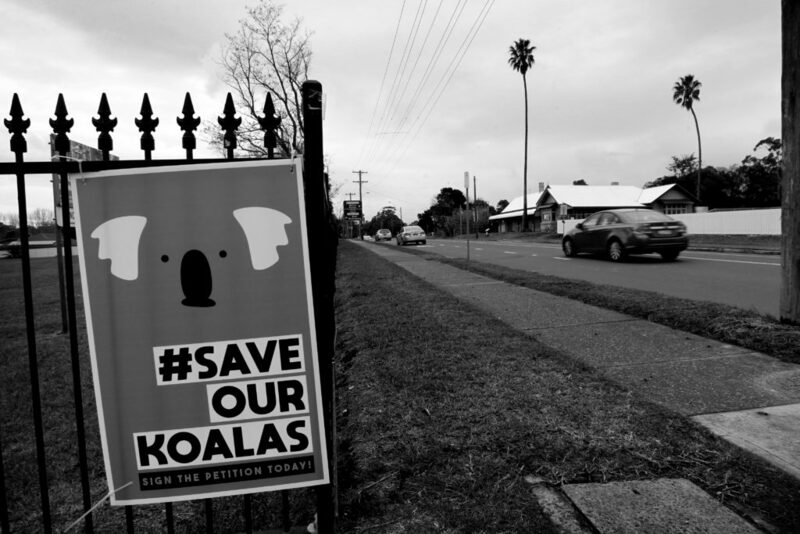 The NSW Office of Environment and Heritage (OEH) brought the case against Walker Corporation and persuaded the court the company cleared seven native species including black she-oak and narrow-leaved ironbark. 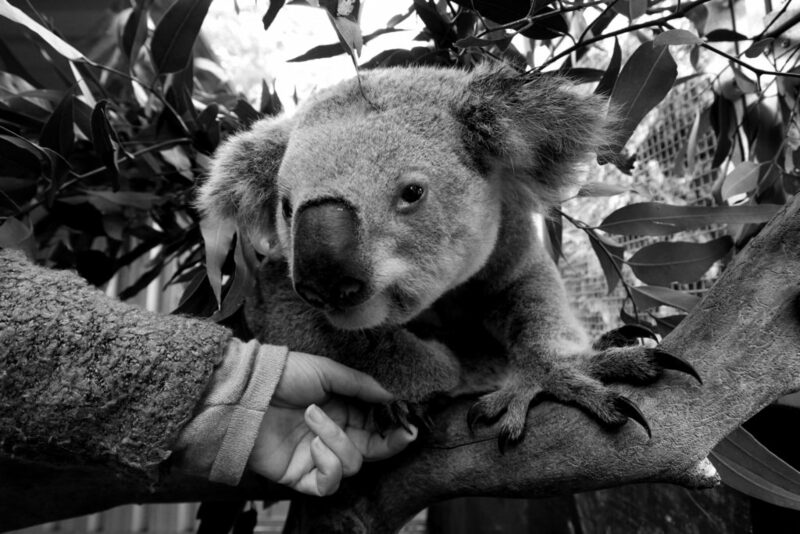 These species had provided homes to two endangered ecological communities and habitat for threatened species including the koala, powerful owl, spotted-tailed quoll and eastern bent-wing bat. Walker Corporation pleaded not guilty to the charges and told the court it had employed a contractor, Environmental Land Clearing, to clean up the property, which had weeds growing on it and had been used as a site to dump cars. Its spokesman said the company would appeal the judgment. The court heard the contractor used a machine called a ‘‘mega mulcher” to clear vegetation on the site which degraded the habitat for a range of native fauna. Mr Kenneth Turner, a terrestrial ecologist employed by OEH, said the clearing would lead to the direct or indirect deaths from starvation and other means of individual reptiles, amphibians, birds, bats and ground and arboreal mammals, during and after clearing. Walker Corporation, which had never been convicted of an environmental offence, argued it was not liable because the contractor had held itself out to be an expert company and cleared the land without it authorising, supervising or exerting control over the clearing, an argument Justice Rachel Pepper rejected. ”The fact remains that the clearing that it did carry out was undertaken in accordance with and directly as a result of Walker’s instructions,” she said. Walker Corporation’s artist impression of it housing development at Wilton South East Precinct. Walker Corporation has denied Chinese development company Country Garden Australia – named in a property scandal involving disgraced Wagga MP Daryl Maguire – has bought land in its Wilton South East Precinct. The Independent Commission Against Corruption revealed two weeks ago that Mr Maguire attempted to broker property deals and sought kickbacks from Country Garden Australia. Walker Corporation recently lodged a development application to subdivide 701 residential lots between Picton Road and Janderra Lane at Wilton. As part of the application, Walker submitted ‘building design guidelines’ which stated new buyers were required to pay a bond to Country Garden when building their homes. A compliance bond is a refundable fee paid to a developer at the time of settlement to ensure homes are built to the project’s design guidelines. A Walker Corporation spokesman said the reference to Country Garden was an error and it had not sold any land to the Chinese developer. “In regard to Country Garden’s mention in the submission, Walker Corporation has used an external consultant to prepare the housing design brief who also undertakes the same work for other housing developers,” he said. “In producing the document for Walker, the consultant inadvertently used a previous document naming another client and did not pick up the error before submission. 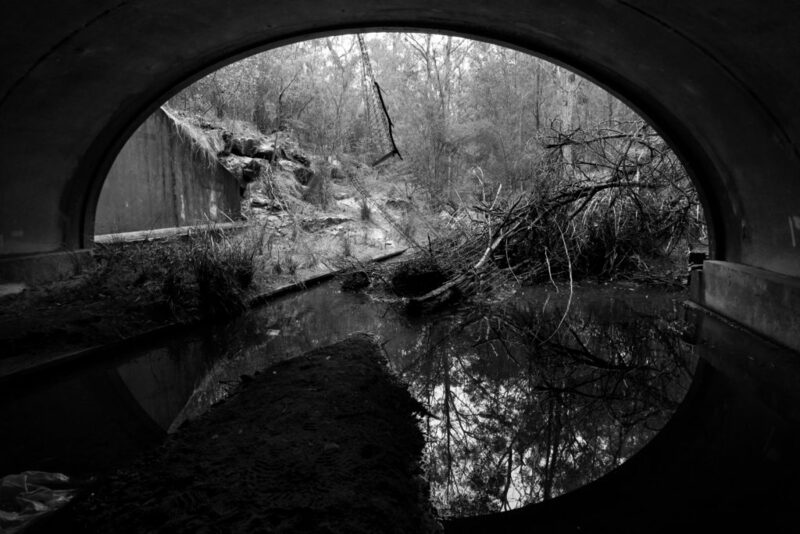 Walker Corporation commissioned environmental consultancy firm, Biosis Pty Ltd, in 2016 to undertake an Aboriginal cultural heritage assessment of the proposed subdivision and bulk earthworks within the proposed first and second stages of the precinct. In that document, an Aboriginal cultural heritage constraints assessment, prepared by Biosis for Country Garden was referenced. The Walker Corporation spokesman said the company did not wish to comment further. Country Garden set up two companies, Wilton East and Wilton West in February 2017. Country Garden Australia’s head of managing director office Stephen Sun told Fairfax Media last week that the company did not own land in Wilton. “Country Garden Australia already has a number of projects under way in NSW and Victoria and we are actively pursuing other community building opportunities in Australia,” he said. Country Garden owns 364 hectares of land at Cawdor. The new Inland Code has been released to simplify the planning process for home owners and farmers in regional NSW. THIS is about fast-tracking development in both residential and rural areas through a code complying development process. The Code will NOT apply to new release areas where the Greenfield Housing Code instead applies. 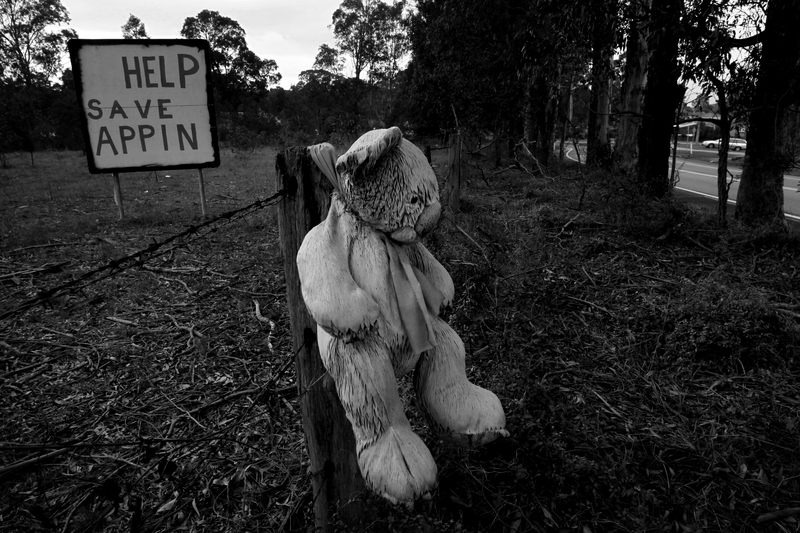 The Code also does not apply to land within a Heritage Conservation area or a draft Heritage Conservation area, nor to a Heritage item in environmentally sensitive areas or environmentally sensitive land identified in Schedule 5 of the State Policy, or other land set out in clause 1.19 of the State Policy. The new Code will make it easier, faster and cheaper for property owners in rural and regional inland areas of NSW to get approval for new homes, home renovations and farm buildings. It brings together and simplifies the planning rules for fast-track complying development approvals in one easy-to-read Code. allow rural landholders to construct a greater range of farm buildings without approval and obtain faster approvals for large farm buildings to support the agricultural use of their land. New one and two storey homes and home renovations can be undertaken as complying development in inland NSW where the proposal meets all of the relevant development standards in the new Code. These standards have been developed following consultation with the community, councils and industry. A homeowner can save up to $15,000 for a new home and $2600 for home renovations under complying development. The new Inland Code brings together the planning rules for fast-track approvals of one and two storey homes and home renovations for all residential and rural zones in inland NSW, making it easier, faster and cheaper for homeowners to get an approval. Expanded complying development standards have also been included in the Inland Code for large farm buildings that are subject to requirements under the Building Code of Australia, including farm sheds. View more detail about the new Code on the Planning Portal. Where does the Inland Code apply? The Code will apply to 69 local government areas in inland NSW as shown on the Inland Code map. Consistent with the Housing Code and Rural Housing Code, the proposed development must be allowed under the Council’s Local Environmental Plan to be complying development under the Inland Code. Changes have also been made to the General Exempt Development Code to make it easier to build low impact farm buildings. appropriate standards, such as height limits and setbacks, will be introduced for various types of farm buildings. These changes apply across the State and mean that planning and building approval is not required for farm buildings where the relevant development standards are met. The new farm building standards are available here. The new Inland Code and farm building changes will commence on 1 January 2019. This delayed commencement will provide time for the community and stakeholders to understand the changes and for the Department to provide training sessions. An education program will be rolled out across NSW to assist the community and stakeholders to learn more about the new Inland Code. An online learning module will also be launched soon. The transitional period will not apply to the exempt development standards for farm buildings. The timeline below shows how these Codes can be used. Other codes can also be used in inland NSW, including the Low Rise Medium Density Housing Code, Greenfield Housing Code, Housing Alterations Code, General Development Code, Commercial and Industrial Codes and Demolition Code. More details about exempt and complying development: NSW Planning Portal. Call on 13 77 88 (Service NSW). If English isn’t your first language, please call 13 14 50. Ask for an interpreter in your language and then request to be connected to our Information Centre on 1300 305 695. 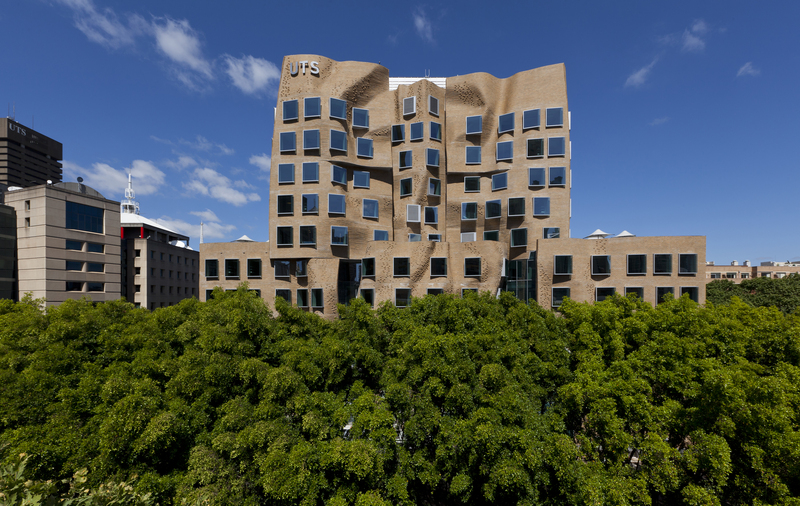 As the first Australian building designed by Frank Gehry, one of the world’s most celebrated architects, the Dr Chau Chak Wing Building is a flagship project of UTS’s billion-dollar-plus City Campus Master Plan. It provides teaching, learning, research and office accommodation for the Business School – as well as extensive public spaces – across 11 occupied floors. While it is available to all students, it has a focus on postgraduate and executive education, and bringing UTS researchers together. The building is named for Australian-Chinese businessman and philanthropist Dr Chau Chak Wing, who donated $20 million to the project, along with an additional $5 million for Australia-China scholarships. Dr Chau Chak Wing’s son studied architecture at UTS. Located in the City Campus’s Haymarket precinct, the building is a landmark along the ‘cultural ribbon’ that extends from the Sydney Opera House down to UTS, taking in Darling Harbour and The Goods Line development. Read more about the finished building and the UTS Business School here. Find out more about the UTS Business School and its contemporary approach to business education. It’s such an inspiring space. There are different angles and something different every place you look, so that’s really exciting as a student, to work in something that’s different. When I walk into the building, I just feel such a strange mix of emotions because it’s such an unconventional space. I think we’ve all been seeing the outside as it’s been unfolding and be excited about what it might mean, but when you walk in – but the lovely warmth of the use of timber is the first thing that strikes me. Frank Gehry described this as his dream building. It was a dream for him because it fulfilled an unrealised philosophy of education, the philosophy of a treehouse. A treehouse with a trunk of social spaces, branching into areas of discipline, knowledge and research. The way that universities operate around the world is fundamentally changing. Students expect different things. They need to be prepared in different manners for their careers for the 21st century. I’d like to think at UTS, we are approaching business as unusual, and for me, that’s what this building says. This is the building as unusual – this is the place where you can sort of play with ideas. The concept of collaboration, of working together and understanding other people’s ideas and issues, has a great capacity to emerge in this type of environment. Collaborative education is incredibly important because we all end up working in teams. The impact of the new building will be a potential for a much greater collaboration between students and lecturers. For a start, the physical layout is going to change the way that we teach. This room breaks the way that we traditionally structure a room in terms of the teacher-student dynamic, so that’s going to change the method and the technique with which we teach. You’ve got collaboration in these new formal teaching spaces, and that’s terrific, but I think the really exciting thing from both a teaching and learning perspective is that when class finishes, you see students sitting around putting all those ideas into practice. The informal spaces in the building are essential to a postgraduate student. It’s really essential that we have places that we can get together and collaborate, places that we can meet and work on things together. Education is no longer about something where you’re locked away for a few years, you learn things, then you go out and see what the real world is doing. More and more, industry needs to come back in. It’s a building that reaches out to the world. It goes beyond the walls. It really means that we can do here is become much more global. This new building will really have an impact on postgraduate education. What we do at UTS Business School has always been about collaboration with industry, it’s about problem solving and it’s about reframing problems so that we can come up with creative solutions. We wanted a building that would differentiate UTS, that would highlight our commitment to creativity, innovation and connection. It’s shaping what the university says about itself, but it’s also a marker to that creative, digital hub in which the whole university is now sitting. This building really symbolises for me the innovation of UTS, the commitment of UTS to my education and to making sure that what I learn is world class.